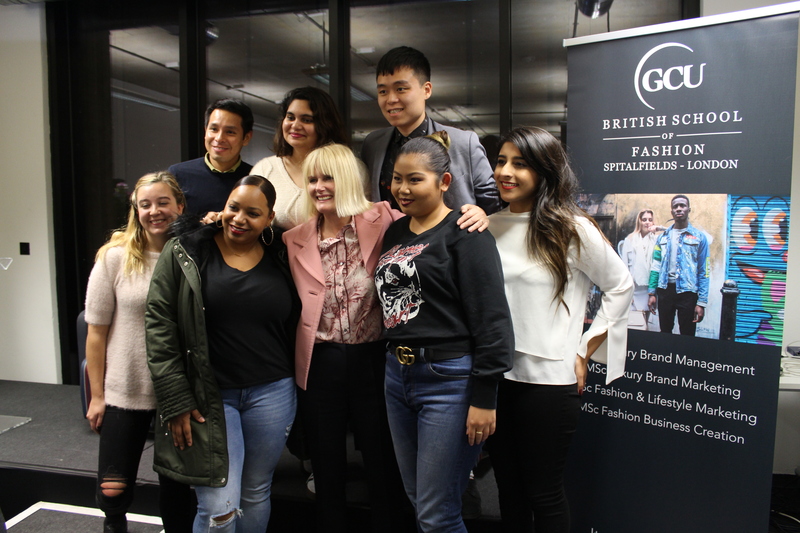 On Tuesday 6th November, GCU London Honorary Professor and Lifetime Achievement Award winner Jane Shepherdson CBE, former CEO of Whistles delivered an exclusive Masterclass to our students in which she shared her eye-opening 30 year career journey in the fashion industry. Awarded a CBE for services to UK retail business in 2015 and described as the most influential person on the British high street, Jane joined Topshop in 1984 as an Allocator before working her way up to Brand Director and reinventing the high-street retailer as a leading global design brand, during which time she increased profit from £9M to £110M. Jane then joined Whistles as CEO in 2008, where she nurtured Whistles into one of the high street’s most well-regarded brands before stepping down in 2016. 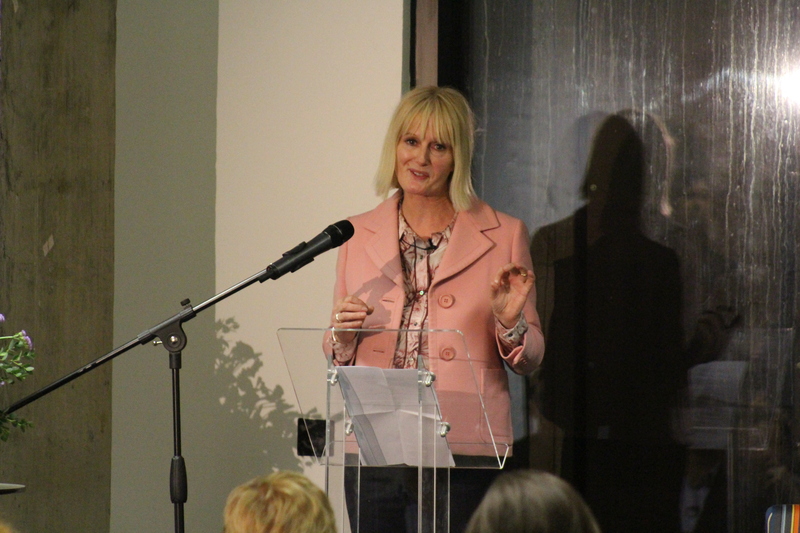 During the Masterclass, Jane discussed the strategies and risks she took during her time at Topshop which led the company to become one of the first retailers to work with designers, get on the catwalk and advertise in Vogue; all of which were unheard of for a high street company at the time. After leaving Topshop, Jane worked with Safia Minney, founder of People Tree, a fair trade apparel company and travelled to Bangladesh where she gained insight into the harsh warehouse conditions. Following this, Jane went to help Oxfam to further the charity with the creation of boutiques. It was here where she met and collaborated with GCU Chancellor, Dr Annie Lennox to create The Fashion Circle. 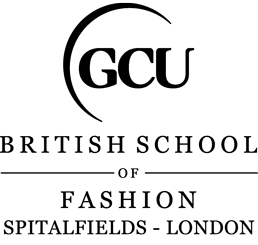 The Circle is an NGO which focuses on achieving equality for women and girls in a fairer world. 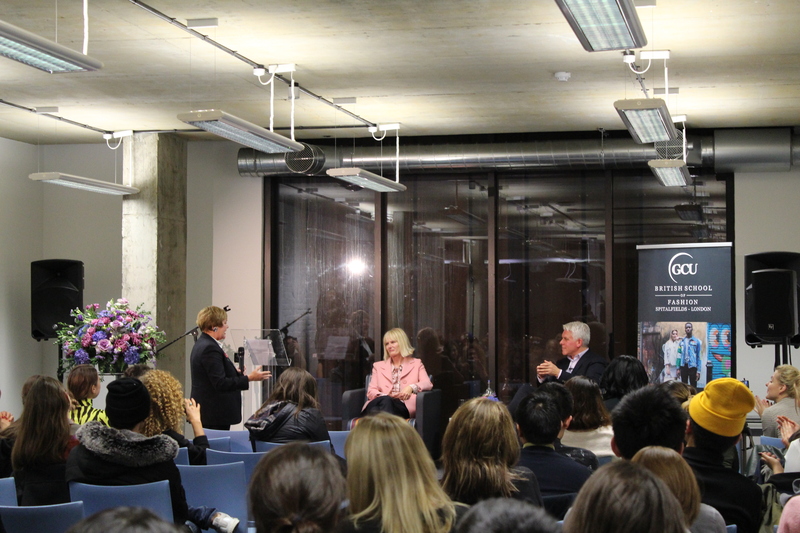 Jane then shared the difficulties she faced during her career, most notably the 2008 financial crash, the same year she became CEO of Whistles and talked about how the team managed to overcome the challenges. 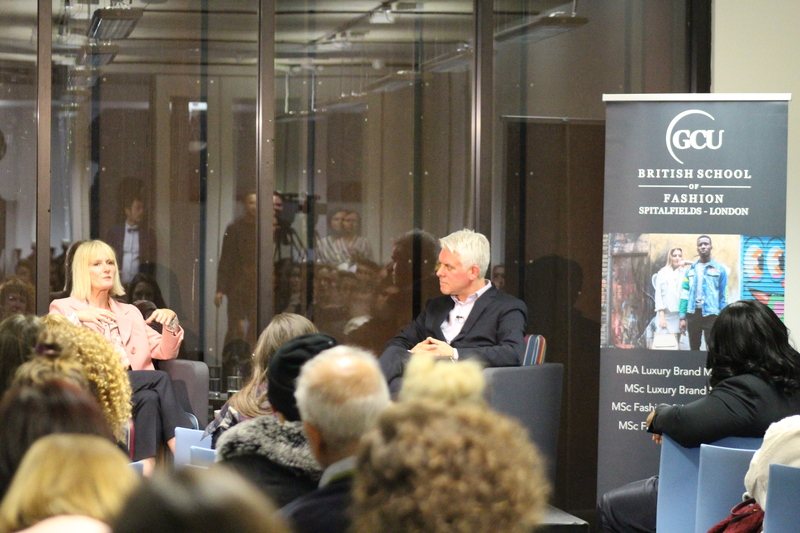 A Q&A session followed and was led by Head of British School of Fashion, Tim Jackson before it was opened to the audience. “Through the seminar we learned how Jane was able to build a prominent position in an industry that is male dominant.  “What was personally helpful for me is her interest into sustainable fashion. Listening to her talk about different aspects of sustainability gave me a lot of insight into the topic and cleared my pre-existing preconceptions. Watch the full Masterclass here.